Is Mutya getting back MI and MW franchise? Re: Is Mutya getting back MI and MW franchise? 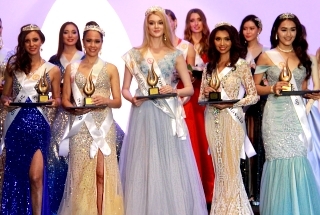 This means that pageant business is getting stronger in the Philippines. On another token, I just hope that Philippines will also spend more money on sports all year round so it can send top notch athletes to Olympics and win many coveted Olympic medals. Philippines has already conquered Miss Universe and international pageantry. It’s time for Philippines to conquer Olympics and international world of sports in the next ten years or so. How about SPORT CAMPS (other than beauty camps) in the Philippines? Let Mutya handle the Mess Whoreld french fries, and have a partnership with LCS. 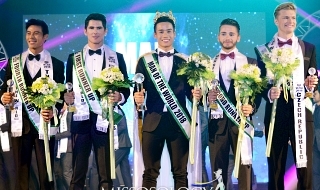 Yuson is mistaken about Miss International. From the time Mutya ng Pilipinas was founded in 1968, the organization has been sending contestants to Miss Tourism International, Miss Beauty of the World INternational, Miss Expo International, Miss Asia Pacific International, and Miss Tourism Queen International. The defunct Miss Philippines pageant selected the contestant to Miss International from 1960 to 1967 (except in 1966, as the contest was not held). The first winner was Edita Vital, who competed in Long Beach against (and lost to) Stella Marquez. In 1968, the four-year-old Binibining Pilipinas pageant acquired the franchise, and it owned it since then. The first Bb. Pilipinas International was Nini Ramos. Yuson, though, is correct about Miss World. MNP owned the franchise from 1977-1991. Prior to that, the Miss Republic of the Philippines pageant held the franchise for seven years. Is he as dumb as the contestants who think that the Philippines still has another shot at the Cooking Show crown??? Akala ko Mutya Datul is joining MW or MI lol. But Mutya can have MW. We got 6 Miss Intl crowns because of BPCI. pacifico falafoxy wrote: This means that pageant business is getting stronger in the Philippines. panchopolo wrote: Yuson is mistaken about Miss International. From the time Mutya ng Pilipinas was founded in 1968, the organization has been sending contestants to Miss Tourism International, Miss Beauty of the World INternational, Miss Expo International, Miss Asia Pacific International, and Miss Tourism Queen International. Nagsalita na naman nang di nag-ri-research si Lolo Palsifico Falayfay, may malaki ngang sports complex na ginagawa malapit sa Clark di ba?? Malapit na nga matapos eh! Kalurkey ka! You are talking about yourself. Read, re-read, and understand before you click. Clark is the official venue for SEA Games or any international sports event. Sports camp is a training facility or a camp of some sort for athletes, sometimes exclusively for track, swimming, archery, gymnastics, etc understand? Hope you do! You may need many sports facilities or sports camps depending on the specialty. Michael Keon, Pres. marcos own nephew, had done it for years. But dirty politicking and a dearth of finances and funding did the programme in. I hope that with a renewed interest in the country for team sports, the country shall build on an aggressive and well-funded sports development program in the coming years. Sports facilities are being built across the country and I hope this signals a good start. lesham wrote: Let Mutya handle the Mess Whoreld french fries, and have a partnership with LCS. 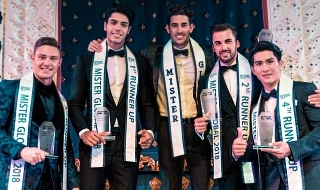 BPCI will never give up the MI franchise for as long as SMA — who has a very strong emotional attachment to the pageant — is around. Only a moron would want to pick up Julia’s cooking show. nycla2 wrote: Akala ko Mutya Datul is joining MW or MI lol. But Mutya can have MW. We got 6 Miss Intl crowns because of BPCI. Sayang ang beauty ni Mutya Datul sa Cooking with MasterChef Julia. Miss Universe or kahit MI mas okay. Sya pa rin talaga ang isa sa biggest "what if" para sa akin - "what if sya ang pinadala natin sa Miss Universe 2013?"